In the annals of Oregon High School girls tennis history, there has never been a player who won both a doubles and singles' state championship during their career. To be clear, most players don't double up during the season a la Venus and Serena Williams. 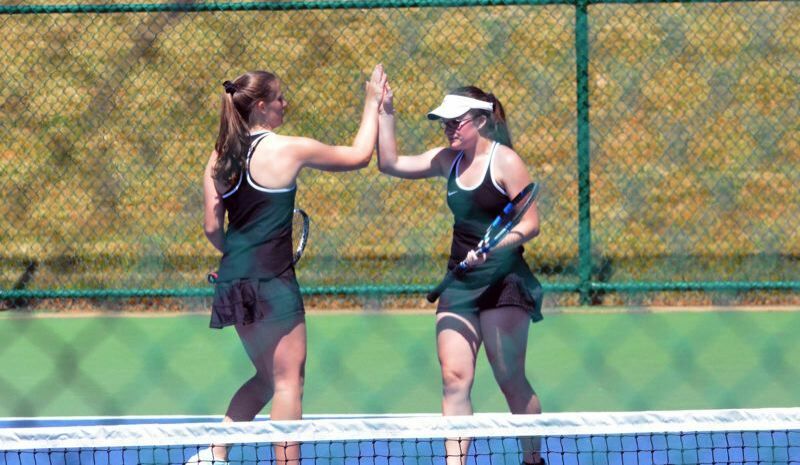 But dating back to 1946 when the OSAA began taking record of state championships no player has won a doubles title and come back the following year as a solo star and took state. The same goes for any singles champion who tried their hand at playing doubles the subsequent season. The fact not one state champion in the history of Oregon boasts both singles and doubles state championships on their resume is fascinating and esoteric. Great stars of yesteryear such as Corvallis' Sue Graham, Wilson's Lindsay Berman, Jesuit's Erin Larner, Erryn Weggenman, Crescent Valley's Cisca Mok, the Berger twins of Hermiston all stayed in their lanes when it came to state tournament time. Never did any of those aforementioned dynasties ever cross over into the other realm. It's possible others have attempted the feat, but nobody has accomplished the rarefied grail according to the OSAA archives. What Beaverton junior Cassidy Binder is chasing after not only this season but next has literally never been done before in the state's lore. Binder teamed up with her older sister, Sydnie, last season to make up the best doubles team in Class 6A, winning a Metro League and state championship. Sydnie exhausted her high school eligibility and moved onto Boise State University. But with two years of high school tennis to go, Cassidy Binder is embarking on a solo quest. 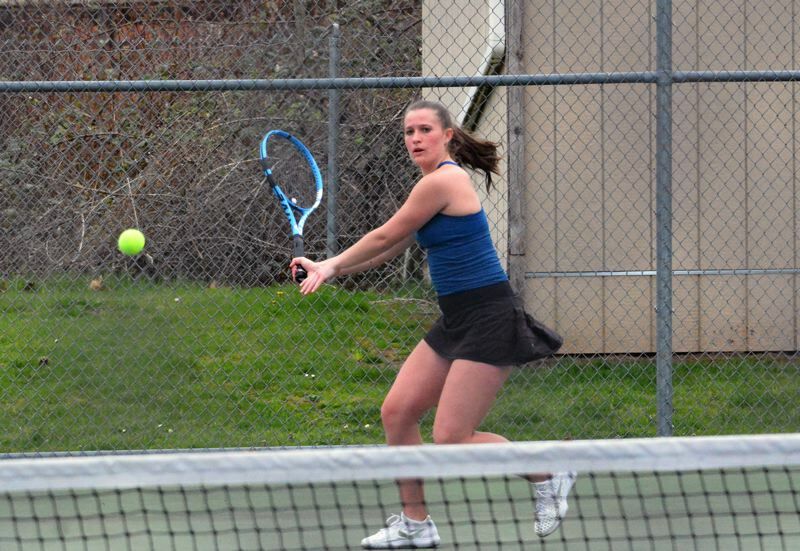 She's taken over as the Beavers' top singles player and is already proving herself as one of the best individuals in Metro, winning all four of the matches she's participated in so far. Binder could be the first player to ever dip her toe in both waters and come out with a state first-place medal in both domains, a transformative notion that would vault the Boise transplant into her own echelon. And for the right-handed power hitter, that's the goal: take the singles' championship this season. "I'm hoping to go undefeated and win a state title for sure," Binder said. "I have to practice a lot more, hit every day, play lots of matches, prepare myself for that. I'm going to try my best. It's hard because you're out there and it's all on you. If you make a mistake, that's your fault. You don't have anyone else to blame out there except yourself. That's hard, but I think it's good for me and will help me for down the road later in my career." It won't come easy. Tigard junior Lizzy Stevens is the two-time defending 6A state champion. The ferocious back line enforcer already has the look of a Larner or Weggenman who both four-peated during their respective times at Jesuit. Sunset senior Serim Jin, who took second in state back in 2017, is back after a year competing on the USTA circuit. The 6A singles' field is littered with talented landmines. But Binder already has a state title under her belt. She's thrived under the bright lights and competed in the eerie quiet of the Tualatin Hills Tennis Center bubble. That invaluable experience will be helpful in navigating a 6A bracket filled with future Division One players. Getting used to life without her sister by her side on the court has naturally taken some time to adjust. Sydnie Binder isn't there anymore to provide that support system that only an older sister can provide. But with a college career on the horizon and D1 dreams running through her mind, Cassidy said she needed to make the move to singles to become more self-directed on the court. "It's a lot different because you're out there by yourself," Binder said. "It's definitely put me in more pressure situations. I have to do things on my own and come up with strategies by myself, which is harder but I think it's pushed me to become a better player. It's made me more independent, which is good." Over spring break, Binder said she checked out UC Santa Barbara, Pepperdine and Loyola Marymount, all schools that surely would welcome a player with a versatile background of doubles and singles' play. Binder is a great player at the net, someone who actively approaches the barricade and wields her racket to direct shots to all areas of the court. She hammers balls away at the net and is improving her serve-and-volley game. Binder gets the best of the best from every school being Beaverton's top-ranked player. And in Metro there are no matches off, something Binder relishes from week to week. "It's awesome playing schools like Jesuit and Sunset, it's really good for me," Binder said. "It's helped me a lot. These players put a ton of pressure on me, but I'm excited."